at 1247 Atlantic Avenue, Kings County. The development was completed in 2018. Leases for available units range in price from $2,000 to $3,500. 1247 Atlantic Avenue has a total of 40 units. 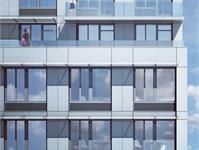 Introducing 1247 Atlantic – a brand new luxury building on the Crown Heights/Bed Stuy border. Units have features such as floor to ceiling windows, private balconies, designer appliances, high ceilings, and deluxe kitchens. Numerous high-end amenities await you – an indoor pool, gym, laundry on site, yoga room, game room, lounge, roof deck, elevator, bike storage, and so much more. First showings starting now for October moves. Don't wait for this one. 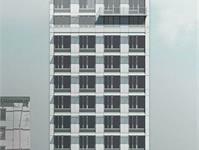 Your inquiry will be delivered to the 1247 Atlantic Avenue leasing team, who will send you more information about this development.